The Burlington Arcade is in the heart of London’s Mayfair and is a leading landmark for bespoke, luxury and heritage retail. In 1819, Lord George Cavendish, who lived in Burlington House (now the Royal Academy) commissioned his architect, Samuel Ware, to design a covered promenade of shops “for the gratification of the public”. This became Burlington Arcade which has had a rich cultural history ever since. 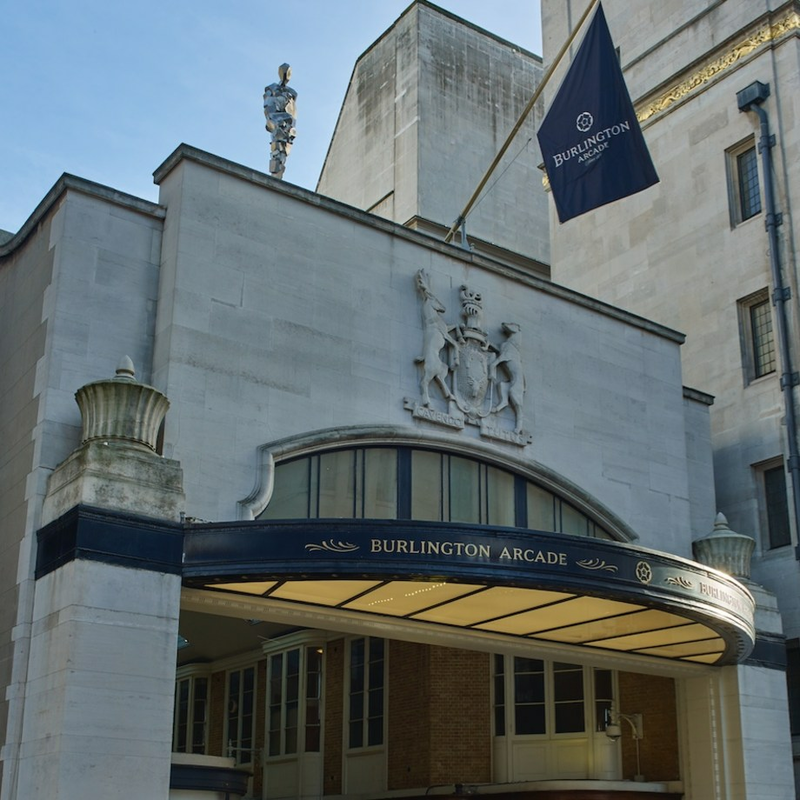 As well as being one of London’s finest shopping destinations, Burlington Arcade is a truly timeless destination, an iconic runway uniting Piccadilly and Bond Street.